Halloween Recipe: Lime Slime Chocolate Cupcakes! 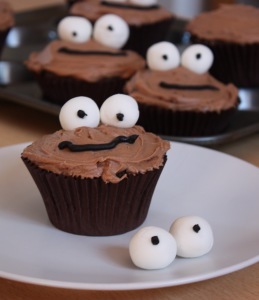 Surprise your guests with these cute fudgy chocolate cupcakes. They may look like pure chocolate on the outside, but inside is a surprise zingy slime-like lime curd filling. They’re a simple Halloween treat that are perfect for a party. It might be a good idea to hand them out with a plate, as they are quite messy to eat! 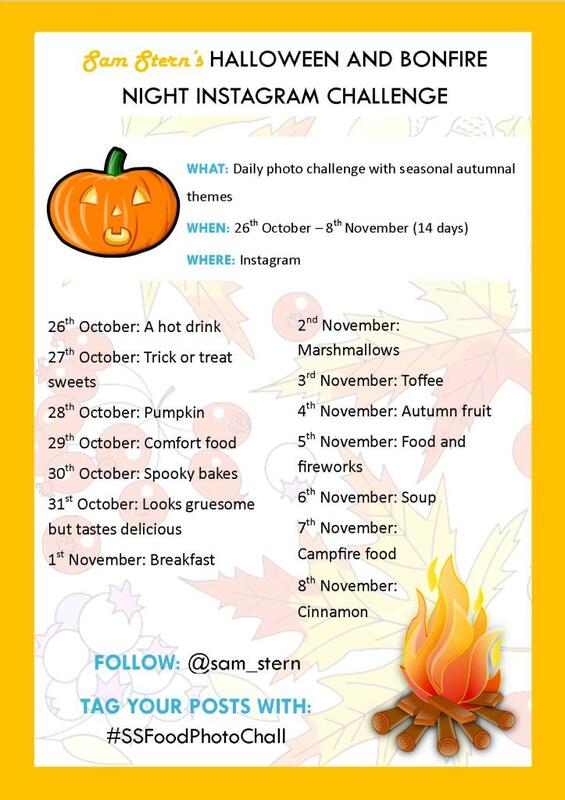 Halloween & Bonfire Night Instagram Challenge! If you’re a budding food photographer, or just enjoy swamping your Instagram followers with foodie photos, then you’ll love what will be happening on my Instagram (sam_stern) over the next two weeks. Over Halloween and Bonfire Night I’m going to be holding a daily photo challenge over on Instagram. All you have to do is snap one photo a day between Monday 26th October and Sunday 8th October that fits with that day’s theme. All the themes can be found in the image below! Over the course of the challenge I’ll be sharing any images that catch my attention on Facebook and Twitter, so make sure you’ve liked the page, and are following @sam_stern on Twitter to see if your image gets a shout out. Also make sure to tag your photos with #SSFoodPhotoChall, and mention @sam_stern in the caption when you post them on Instagram. Looking forward to seeing all your snaps! 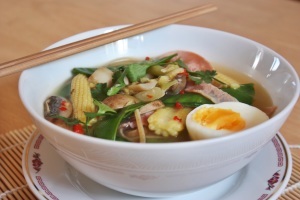 A warming, cheap soup that is way better than a Pot Noodle. This recipe – named after the Studio Ghibli film Ponyo – is perfect if you have some ham hanging around in the fridge, but are fed up with sandwiches. You can swap out the ham for any leftover meat. You can also change around the vegetables, adding whatever you like. Suggested alternatives are sugar snap peas, beansprouts, bamboo shoots and cabbage. You can easily make this into a vegetarian dish by leaving out the ham and doubling the amount of egg. Warning – this recipe is rather spicy! Cut down on the chili if you like your soup to have less of a kick. These are super easy pies, perfect for quick weeknight cooking. Using puff pastry to make these pies means there’s no faffing around squeezing shortcrust into tins. This recipe makes two individual pies, but you can skip dividing the pastry block up and make one big pie to feed two, or double the recipe for four. 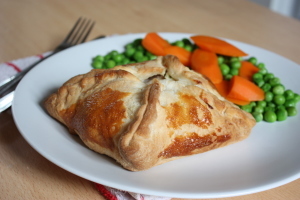 Alternatively make two pies – one to eat now and one to freeze for another night. If you want to bulk your pies out even more add some leek, or mushrooms.